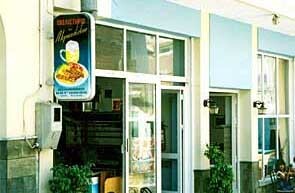 MERAKLIDIKO is a Steak House that you will find situated in the center of the city of Kalymnos. It offers you a wide variety of dishes such as lamb chops, kontosouvli, kokoretsi, steaks, manouri, gyros, mermizeli and barreled wine. It also handles take away.